Among the main beneficiaries of 21st century socialism are the rural poor, and they comprise a significant proportion of Lenin Moreno's supporters. The Andes mountains run like a spine through Ecuador, dividing coastal wetlands and beaches from the Amazon rainforest of the interior. The capital, Quito, nests in a long, narrow valley at an elevation of almost 3,000 metres above sea level, surrounded by peaks that reach as high as 5,000 metres. 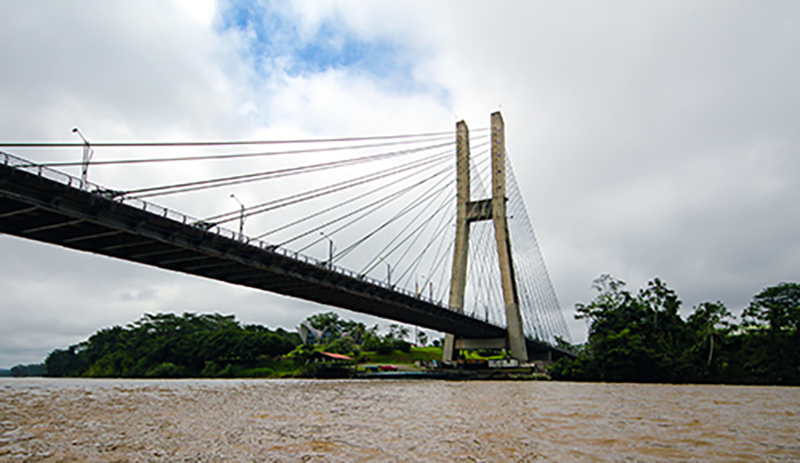 It’s fortunate that Ecuador’s roads are up to the challenge of the various landscapes, cutting through mountains, hugging hillsides, and bridging rivers, canyons and ravines. Ecuadoreans take pride in the pothole-free roads that connect the country’s 16 million inhabitants. The road system is, perhaps, the major accomplishment of 21st century socialism, an economic ideology espoused by President Rafael Correa during his decade in power from 2007 to 2017. This is a neo-leftist agenda that has been applied to Venezuela, Bolivia and Ecuador, and involves massive redistribution of wealth to the poor, financed by sales of nationalized natural resources. In Ecuador, Correa’s policies have succeeded in pulling millions out of poverty and creating a more egalitarian society. However, the picture is not so blemish-free as its roads appear to be. The expansion of state expenditure has led to charges of waste and corruption. For instance, about a quarter of the country’s new roads were built by Odebrecht, a Brazilian construction company alleged by U.S. prosecutors to have paid US$33.5 million in bribes to Ecuadorean officials in 2007-08. And, although arguably everyone benefits from a better transportation system, the environmental, social and economic costs have been covered by Ecuador’s most remote and poverty-stricken region, and the five per cent of the population that lives there. To some extent, the existence of Quito’s national road system is supported by a less-travelled one – in the country's most remote region, the Amazonas Oriente. These jungle roads carry the oil that powers Ecuador’s economy and allows the government to pay for highways, bridges, hospitals and housing. 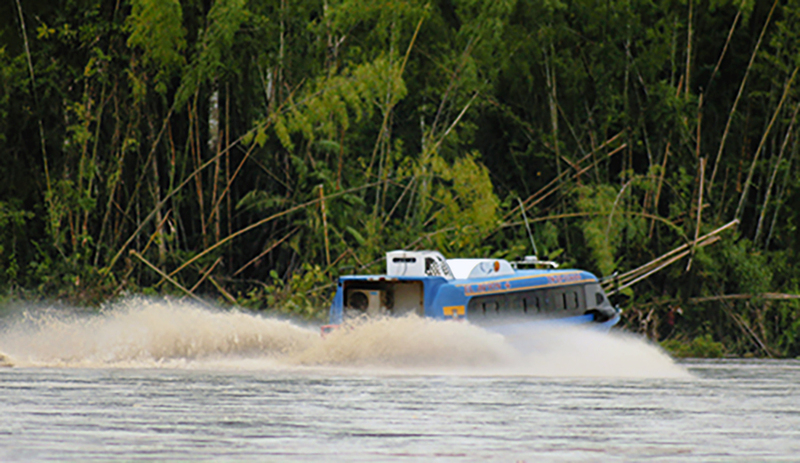 For example, the Maxus road runs from the Napo to the Tiputini rivers. Along it lie indigenous Huaorani villages, byroads to oil fields and, at its furthest point, the Yasuni National Park station, from which scientists and students embark on boats that take them down the Tiputini river to the Tiputini Biodiversity Station of Universidad San Francisco de Quito. Yasuni park is a place where indigenous people have lived for centuries, and oil companies and conservationists converge, compete and conflict. It is a microcosm of the issues facing the region as a whole. Often, it is not oil exploitation itself, but its side effects, that harm the environment, he adds. However, settlers follow the roads to new lands. They build homes, plant crops, hunt, and upset a delicate balance. And, when their children grow up, they build by-roads to new lands. “This is what people call the ‘fishbone pattern’ of deforestation,” Suarez says. President Lenin Moreno, who took office May 23, has promised to bring Ecuador back onto a sustainable trajectory. But he faces serious economic and political challenges. Ecuador’s politics are polarized along social and regional lines, and, with nearly half the voters supporting his opponent, Moreno cannot afford to govern by diktat. The rural and urban poor, and the traditionally marginalized coastal provinces, support his government. Ecuador’s urban centres and growing middle classes, and most of the highlands region do not. Moreno will have to govern in the midst of an economic recession, and how he manages the dynamics of the Amazon will demonstrate his commitment to reform – because of the region's delicate social, economic and environmental balance, and its relationship with the rest of the economy. Former finance minister Magdalena Barreiro, says that, for Correa, oil revenue lubricated the process of reform. However, for his successor, things will likely not go as smoothly. Historically, Ecuadorean politics have been a war of attrition for control of the state, which could then be used as a vehicle for enrichment. The discovery of oil in the 1950s increased the intensity of the battle, says Universidad San Francisco economics professor Diego Grijalva. Expansion of Ecuadorean state expenditure on such things as the transportation network has led to charges of corruption. Deficiencies in Ecuador’s political institutions – such as rule of law, systems of checks and balances and accountability, and protection from abuse – increased these stakes, he adds. Between 1994 and 2006, this high-stakes political game, combined with a drop in oil prices, led to an acute crisis of governance: eight presidencies in the course of 11 years, and three toppled as a result of popular protest. It was during this crisis that Correa emerged as a populist and a revolutionary. He was swept into office in 2007 by Ecuadoreans of all political stripes and classes who were hungry for change, and this broad constituency maintained his presidency in two further elections. Correa came to power with a promise to channel oil revenues to the people, and deliver el buen vivir (the good life). However, Correa had the great good fortune of coming to power as oil prices were hitting a high, and this allowed him to deliver the revolution he promised. Correa’s populist economic policies of 21st century socialism meant improved social welfare, and a resulting expansion of the state. Social spending had doubled by 2012, and the poverty rate fell from 40 per cent to 23 per cent by 2016. A monthly cash payment called Bono del Desarrollo Humano (Human Development Bonus) transferred wealth to the poorest eight per cent of Ecuadoreans. A report by the British think tank, the Overseas Development Institute, found that Ecuador had enjoyed the world’s most inclusive growth between 2006 and 2011. And between 2007 and 2013, the researchers found, the country experienced reductions in the gap between the poorest and the richest at twice the Latin American average. At the same time, however, Correa was leading an assault on Ecuador’s system of political checks and balances. Using his presidential veto power to pass controversial laws, he eroded the independence of the courts, limited the power of the legislature, and inhibited the free press by shutting down critical newspapers and passing censorship laws. In 2015, Correa removed term limits and other checks on the presidency. The only institution that remained untouched was the U.S. dollar, which Ecuador has used as its currency since 2000. By using U.S. currency, the government prevents itself from dealing with economic pressures by printing money – and driving inflation – as it did during the 1998-99 financial crisis. This model of high spending worked while oil prices – and income – were high, but, when oil prices collapsed in 2015, Ecuador’s economy had already been stagnant for a year. Without funds to maintain state spending, Correa’s popularity sank in large cities such as Quito and Guayaquil, especially among the middle classes. The situation was exacerbated when Correa levied a series of unpopular taxes on the middle class to compensate for the lost oil revenue. The economy reached the tipping point in 2013-14, when “the oil prices came down,” Universidad San Francisco political scientist Daniela Magg says. The downturn has had a particularly severe impact on employment, with 244,000 jobs lost in 2016, according to The Economist magazine. The new president, Moreno, has emerged from a close recent election with a mandate that is much weaker than Correa’s was. More important, he has fewer revenues with which to reward followers and placate opponents. He campaigned on a pledge to maintain his predecessor’s egalitarian social policies, while softening Correa’s hard edges, promising increased dialogue and pragmatism in working to find middle ground with political opponents. The challenge for the new government will be to find a balance between the hard realities of global oil prices, and the high expectations Moreno raised with his campaign promises to expand social welfare. The Moreno government will also have to address one of Correa’s biggest disappointments: a failure to fundamentally alter the pattern of oil production in the Amazon. Before the Correa administration, the atmosphere surrounding Amazonian oil extraction was like the wild west. Such European and North American giants as Texaco and Shell constructed roads deep into the jungle to reach oil fields. Concessions granted by the Ecuadorean government were like feudal lands given to Medieval barons. And, like feudal lords, concessionaires were given free rein in exchange for a steady flow of revenues. This system was easy for the government to maintain, because it could outsource the tricky bits of oil production, and benefit from oil companies’ investments. However, the system also resulted in massive environmental damage and violent clashes between oil workers and indigenous groups that left hundreds of people dead. Still, Correa won international acclaim for including Rights of Nature in Ecuador’s 2008 constitution, treating the environment as a legal entity. Unfortunately, his rhetoric has not been backed with action, and ultimately, he presented his country with a black-and-white choice, Grijalva says. Today, the actors in Ecuador’s oil industry have changed, but the dynamics remain the same. Under an onslaught of legislation favouring Ecuadorean state-owned enterprises and Chinese companies, most Western firms have left Ecuador. The Spanish oil company Repsol is an exception. However, the government remains virtually absent from active participation in administrative functions in the region, Suarez says. For instance, oil companies provide social services to indigenous groups, and are responsible for controlling access to roads. Where the government is involved, the result is a tangled set of rules, multiple agencies with overlapping jurisdictions, selective enforcement of laws, and lax monitoring and enforcement – all of which more or less invite graft. In 2013, the Resource Governance Index gave Ecuador a failing grade of 28 on 100 on its rule of law in the natural resource sector. Many Ecuadoreans see natural resource governance as the theatre in which the Moreno administration can dispel expectations that he is a Correa surrogate. “He has to really prove that his style is not the only thing that is going to be changing," Barreiro says. "That it is also the government. That legislation is going to be fair and square for both domestic and international investment." Rules and regulations should be simplified and applied uniformly, she adds, with jurisdictions clearly defined, and the judiciary given the power to enforce the laws. And investment is needed in other economic sectors, such as Ecuador’s newly discovered gold and silver reserves. Under Correa, the Canadian mining corporation Kinross, one of the world’s largest gold companies, left Ecuador in 2013 citing political uncertainty as the reason. Now, the Ecuadorean government must address simmering discontent on several fronts. International oil companies are asking for an improved business climate. Ecuador ranks 114th out of 190 countries in the World Bank’s “ease of doing business” rankings. Social reformers are calling for greater transparency and accountability, and pressing for greater access to drilling sites, so journalists can monitor environmental damage. Such measures would reassure the international community of the government’s commitment to balancing the economy and the environment, they argue. But perhaps the most important constituency for Moreno’s political survival is the general public. For the slim majority of the citizens who supported Moreno, more 21st century socialism is the answer to Ecuador’s problems, not austerity. For Ecuadoreans struggling to get by day to day, long-term sustainability is an abstract concept. “For a country like Ecuador, it is too much of a sacrifice to quit exploiting 20 per cent of oil reserves,” Barreiro says. “We still have so much to do in education, and health and infrastructure, and everything. So, it’s a huge trade-off. “You have to pay salaries or you have people on the streets. You have to pay doctors or you will have hospitals closed. You have to pay teachers or you have schools closed. And you cannot afford that. Political graffiti in the market town of Otavalo, north of Quito on the Pan-American highway, shows the political leaning of the locals.